Obligatory legalese – this article is geared towards certified divers and is not intended to replace actual instruction. Also, the content is inherently general – since we are not there to personally supervise how you, we cannot guarantee that you’ll be able to do them safely or if there are any specific conditions that apply to you which might make practising any of the skills or concepts in this article hazardous to your health. So whatever you do, you do at your own risk. In fact, you should assume that anything you read on the Internet is extremely bad advice and ignore it. We are not responsible for any injuries that may be caused, etc. etc. The author is the founder of DIVEIndia Scuba & Resorts, a NAUI Course Director and SSI Instructor Trainer. 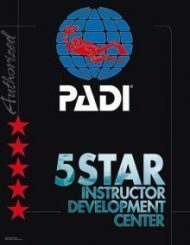 He has been teaching since 2001 and has certified over a thousand students, from Open Water to Instructor.